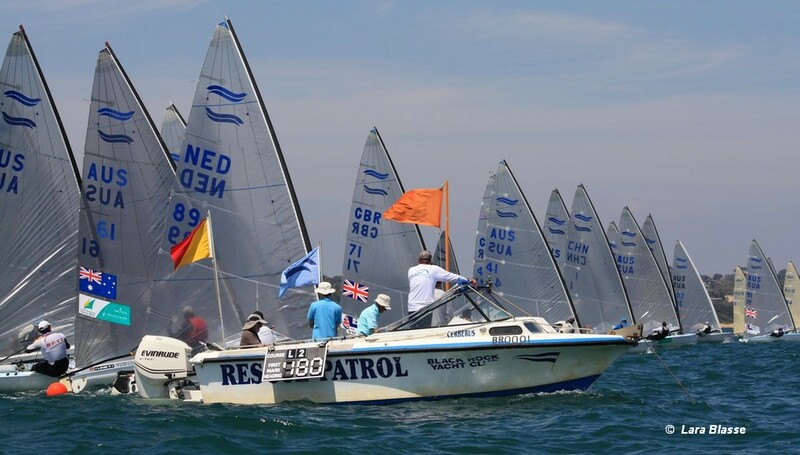 Giles Scott keeps his overall lead at the Ronstan 2019 Finn Australian Championship despite race wins for Holland’s Heiner and Postma. Nicholas Heiner of Holland won the first race of day two with New Zealand’s Andrew Maloney in second and Scott taking third. Jake Lilley of Australia was in fourth place and Ed Wright fifth. Kiwi Josh Junior rounded out the top six. In the second race (R4) Holland’s Pieter Postma, back to his best after the mast problems of day 1, took the win ahead of Scott with Heiner staying close in third place. Overall Scott has a five point lead after four races, with Heiner in second and in third place Andrew Maloney.